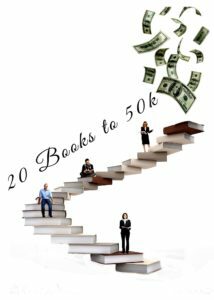 If you are an author and particularly a self-published writer, you’ve most probably heard of the 20 Books to 50K movement. The idea of 20 Books to 50K came to Michael Anderle after he made $10k in 90 days writing a few books. He realized pretty early on that if he could publish twenty books, he was sure that he could get to a $50,000 annual income level. That’s a game-changing income for most people. 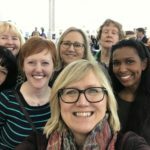 Last year I wrote about my first experience at a 20 Books Conference in London, which for me too was a game-changer. After that event, I decided to make a proper marketing plan and as a result, my book sales tripled last year. I’m not quite yet at 50K, but I’m getting there! Which is why I’m thrilled that I’ve managed to get a ticket to the next 20 Books to 50K Conference in Edinburgh. This one is a slightly smaller affair than the main event which happens in Las Vegas 12-14 November 2019. However, having been to the London event, I know the two days will be filled with useful information, inspirational speakers and much intermingling with like-minded writers. So how can you prepare for an event like 20 Books to 50K? For the uninitiated, the 20 Books to 50K conference may seem overwhelming. At the start of the London event, I remember thinking that I had joined a religious cult by mistake. There were so many people whooping and clapping when Michael Anderlele and Craig Martell entered the stage. But when they started speaking, relaying their ideas and introducing the speakers, I pricked my ears. We were going to be hearing from several stars of the self-publishing industry, as well as competitions, personalized analysis of covers and book blurbs and even a refund for part of our ticket prize. And the original outlay wasn’t huge, by the way. This year, I paid £250 for the Edinburgh event, some of which I hope will be refunded as the event seems to be sold out already. 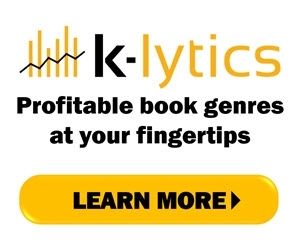 The ethos of the 20 Books to 50K is to make money from your books, clear and simple. If you are of the opinion that writers should be starving artists, you will not enjoy this type of conference. The idea is to publish good books for readers who want to buy them and make money from the enterprise. The way each author earns money from their authorship is different. During the conference, we heard many variations on the theme. Hence, you need to keep an open mind during the event and see what works for you. Writers are also readers, so make sure you can tell everyone you meet during the conference what your book(s) are about. But make it short and snappy. Each delegate will have heard many accounts of the books their fellow conference-goers are writing. And naturally the more interesting you can make your book sound, and the more enthusiastic you are about your writing, the more engaged your fellow authors will be. Amongst the crowd, you may well find your next champion. That one reader who will tell everybody in their on and off-line network about your books. Plus you may find people you can co-operate with. Last year, I met Adrienne Lecter, an author who doesn’t even write in the same genre as me, but with whom I had a lot in common. We both write in our third language, English, and we are both writing a series of books. After the conference, I read one of Adrienne’s books, which she kindly let me have (so make sure you bring copies of your own books), and loved it so much that I have recommended her books far and wide. 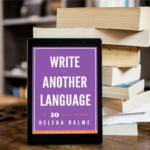 Adrienne is also included as one of the authors I have interviewed in my forthcoming non-fiction title, Write in Another Language in 10 Easy Steps. During the two days of the 20 Books to 50K event there will be competitions, and opportunities to get individual comments on your marketing strategies. In London, a few participants got their Amazon page analyzed for its marketing prowess. There will be a lot of audience participation. You can ask questions, shout out comments or join in on a show of hands. So take part! The more you give the more you get out of the event. 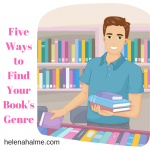 And obviously, the more you are seen, the more people will want to know what kind of books you write, and you might find another champion reader. Most of the speakers at the London event shared their slides with the conference afterwards, but be prepared for a lot of information that isn’t necessarily shown on them. I took a huge amount of notes, some of which I still refer to today. As a former journalist, I find it impossible not to take notes wherever I go, but just writing down a few soundbites, a few comments that ring true to you, or you want to investigate further, is a good idea. Because believe me, there will be a lot of new ideas, advice and tips on offer! You might have gathered from what I have written before that 20 Books to 50K isn’t a conference where you can just listen and hide in a corner. Well, of course, you can, but you won’t get the most out of the two days. Having thought about it, I don’t really know a conference where not being sociable is a good strategy. This one certainly isn’t one of them. The more people you meet, the more authors you get to know, the better chances you have of not just finding a kindred spirit. Or a champion reader. But you will also learn more about what works and what doesn’t in book marketing. Because that’s what 20 Books to 50K is all about. Not being a starving artist, but one that makes a living out of his or her writing. Would you like to see more posts like this? 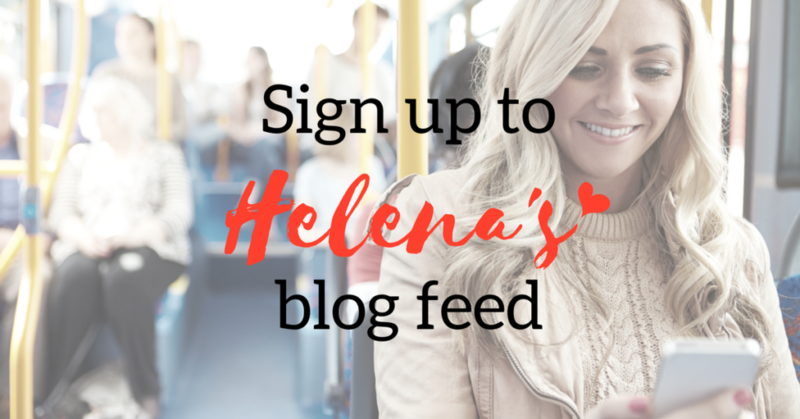 Sign up to my Blog Feed here.